Alzheimer’s is a growing problem in the United States. According to Centers for Disease Control, deaths associated with the disease grew 55% between 1999 and 2014. Over five million people above the age of 65 have been diagnosed with the disease, and the agency estimates that the number will almost triple by 2025. Given the growing nature of the Alzheimer’s epidemic, people who have older relatives need to be able to identify some of the early sign of Alzheimer’s. There is no easy way to diagnose Alzheimer’s disease, but a person who observes him or her often can search for clues. Older people often give small, subtle clues that they are not as mentally sharp and are suffering from the disease. It’s best to make notes when these types of event occur, that way a written record is kept of the person’s behavior. The information can help doctors make a positive diagnosis. When people start to experience Alzheimer’s, they often have a difficult time solving problems and completing basic tasks. They might not be able to cook based on a simple recipe. Or, they incorrectly write something down after being told information. They are usually meaningless tasks, but can be a sign of a larger problem. 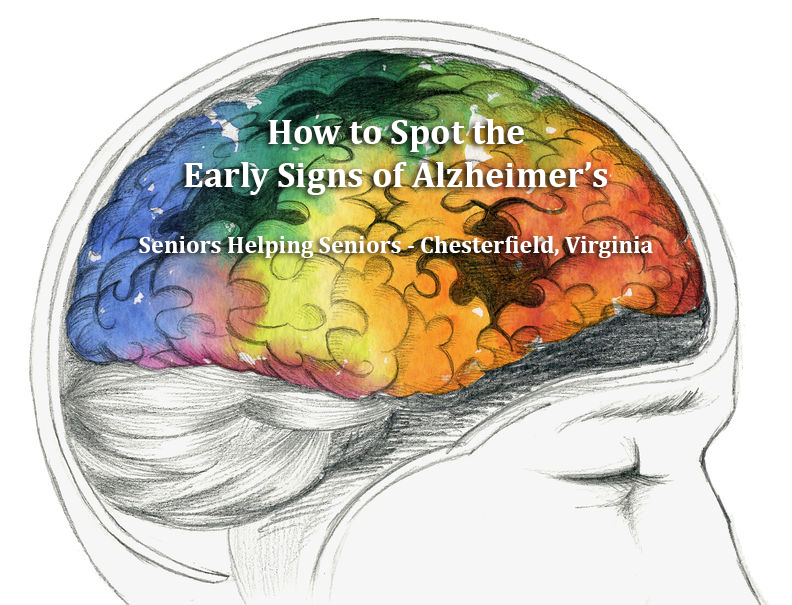 Less energy or feeling fatigue can often be a sign associated with early Alzheimer’s. Examples are falling asleep in front of the television or sleeping for long periods of time at night. The person might appear to have less stamina and vigor. The brain’s cognitive ability fades as a person age, but a person with Alzheimer’s can experience huge decreases in mental function in a short period of time. The person might forget about a stove burner being turned on, and he or she could fail to recall the name of a familiar friend. Time and place can become disoriented for an Alzheimer’s patient. The person might become totally confused about when and where significant events happened in his or her life. A reduction in a person’s vocabulary or difficulty saying the correct words can be a red flag. Vocabulary and word usage are often an early sign of Alzheimer’s disease. This is especially easy to notice among people with a large vocabulary who are very articulate. If a person wants to live independently, he or she has to be able to manage finances. That can become more challenging if Alzheimer’s sets in. Someone might have a difficult time remembering to pay a bill or forgets when certain bills are due. It’s easy to misplace things, but a person with Alzheimer’s disease will consistently misplace things. Objects might be located in strange and interesting locations. Alzheimer’s patients often become frustrated and can get angry easily. A sharp change in a person’s mood could be an indication of Alzheimer’s. Driving is a difficult task, and it can be very dangerous when a person with Alzheimer’s gets behind the wheel. A person with the disease might become lost easily when driving or might have a difficult time navigating unfamiliar situations. If your loved one is displaying any of these symptoms, the best course of action is to talk to his or her doctor.